The debate over Obamacare continues as Cornel West, who believes Obamacare is only a step in the right direction, and The Weekly Standard's Bill Kristol, who would repeal the entire law, join hosts Van Jones and S.E. Cupp. A week out from the government shutdown deadline, the debate over Obamacare, the President’s signature health care reform law, continues to rage. After the Republican-led House passed a bill that would shut down the government and defund Obamacare, the next move rests with the Senate, where Majority Leader Harry Reid plans to remove the provision that defunds the law. At the center of this debate: does the government have a responsibility to provide health care for its citizens? Author and professor Cornel West, who believes the law doesn’t go far enough, and The Weekly Standard’s Bill Kristol, who would repeal the entire law, join hosts S.E. Cupp and Van Jones to debate Obamacare. 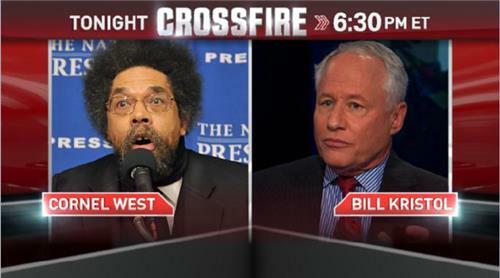 Join the conversation during the show by tweeting with #Crossfire. And at a time when the economy's finally showing signs of life, that could be troubling.